I’ll admit, I am food gadget junkie. You name it, I’ve probably experimented with it. Instant Pot, Blendtec, an Iwatani torch, several smokers (including an electric smoker I typically use), and an immersion circulator (sous vide cooker). I generally use a new gadget to make everything I can imagine and then relegate it to my shelf to only be used for the things I deem it truly the best at. My immersion circulators had been relegated to use in cooking sausage until I recently developed this process for making lower carb, sous vide yogurt. The idea of homemade sous vide yogurt is a great topic in food because it explodes the idea that “all processed food is bad”. It’s certainly true that industrial processed food bears a lot of blame in the obesity epidemic that plagues the developed world. However, it is a moniker that is also a little misleading. Ultimately, a lot comes down to who is doing the processing and to what end. When it comes to most commercially available yogurt, it is really something that a keto dieter does not want. It typically has sugar added either directly or in the form of fruit. Pectin, a carbohydrate, is often added as a stabilizer and thickener. 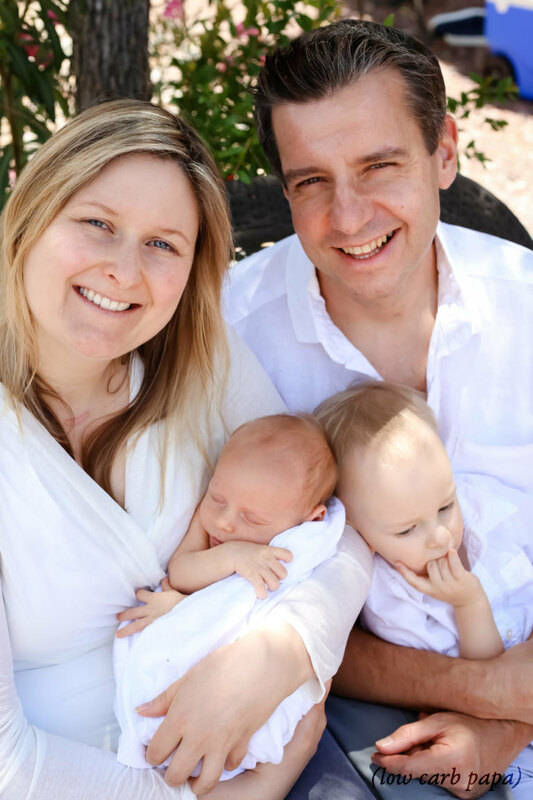 Milk powder is also often added to the blend to yield a thicker body that consumers seem to want, but that comes at a cost of increased starting milk sugars. All of this is really bad news and goes in the direction that is the opposite of what we would want on a ketogenic diet. So, how do we get at the good stuff without the sugar? We do a little of our own food processing, using the bacteria in the starter culture to dramatically reduce the amount of lactose (milk sugar) in the end product. We’re going to eschew all those additives that would add body to our sous vide yogurt, making it more like a pudding. The end product of this recipe is lighter and more delicate, and will become silky smooth if you whisk it. If you want it thicker than that, you can strain it in order to make a really great greek yogurt. In fact, we use an active culture greek yogurt (Fage) to contribute the starting bacterial culture, which gives it a similar milk flavor profile to that yogurt. Commercial yogurts generally have a less complete fermentation process, allowing some residual sweetness and a less-sour end product that food manufacturers have deemed more desirable to end consumers. I don’t know about you, but I hate sugar and love sour yogurt, so I am comfortable letting the process run for a while to get less sugar in our sous vide yogurt. So, how much less sugar? As far as I can tell from my research, no one seems to know exactly. Most authoritative sources admonish you to not go beyond 24 hours as the sugar starts to run out and the bacteria start to die, making it less “healthy” from a probiotic standpoint. So, all of this begs the question — why use the sous vide cooker? There are certainly a lot of automatic yogurt makers out there and newer Instant Pots even have a yogurt mode. The answer really comes down to precision, a simpler process, and overall yield. My immersion circulator lets me adjust the temperature of the water bath cooking my jars full of inoculated milk to .2 of a degree. As anyone who has done any sort of fermentation will tell you, it can be a finicky process, and a lot comes down to creating the right temperature environment where organisms you want will thrive and those you do not won’t. I have yet to have a failed batch, and even if I did, it would take temperature out of the equation when I tried to ascertain what went wrong. 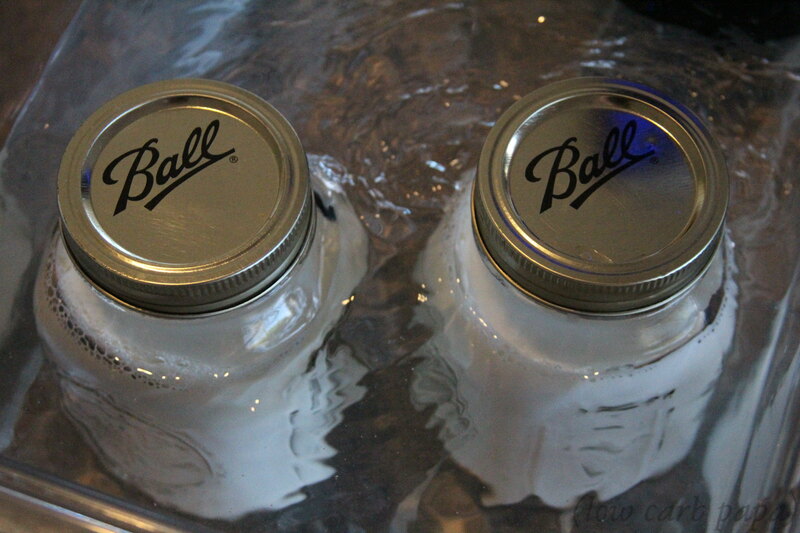 It is a much tidier, easier cleanup process to do this with glass jars in a temperature controlled water bath. Most recipes I’ve seen involve scalding the milk in a pot to kill off any microbes before adding it and the starter culture to the fermentation vessel. Ever had to scrub a pot you’ve cooked milk in? Yeah. So, we don’t need to do that in this case. The milk stays in the glass jar once it goes in. It’s scalded, cooled, inoculated, and fermented in one place. No mess. Finally, I’ve never been impressed with the yield of home yogurt makers. My wife and two young boys are avowed yogurt junkies and they dove into the product of this sous video yogurt process at the rate of about a liter a day, mostly in the form of my Raspberry Cocoa Nibs Yogurt Parfaits. So, more is definitely better in my case. This recipe yields approximately two liters of yogurt. I’ve actually tested it making three in the same circulation container and it scaled well enough that it think you could do more. With whole milk fluctuating between $1.89 and $2.29 a gallon where I live, that is a lot of healthy keto sous vide yogurt produced very cheaply. This Keto Sous Vide Yogurt post contains affiliate links, paying me a commission from purchases made through them, at no additional cost to you. Making yogurt at home with a sous vide cooker is a great way to make inexpensive, lower milk sugar yogurt without all the additives and adulteration of a commercial process -- all with very little mess and cleanup. Make sure the jars are very, very clean. I hand wash the lids, but put the glass through my dishwasher on the sanitary cycle. Fill each of the two jars to the 800ml line with whole milk and place into the Cambro container with the lids screwed on very loosely. We will need to probe them intermittently for temperature, and so we don't want to have to struggle to get the lids off. They'll be pretty hot. Place your sous vide machine in your water container, which in my case is a 4.75 gallon Cambro food container. 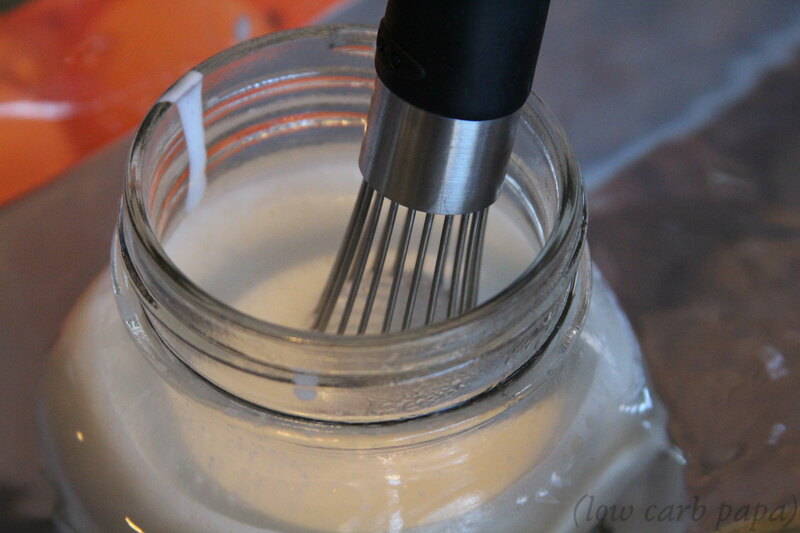 Place the milk jars in the container and fill with water up past the level of the milk in the jars by 2-3mm. We want to make sure the glass touching all the milk is being heated adequately by the water. 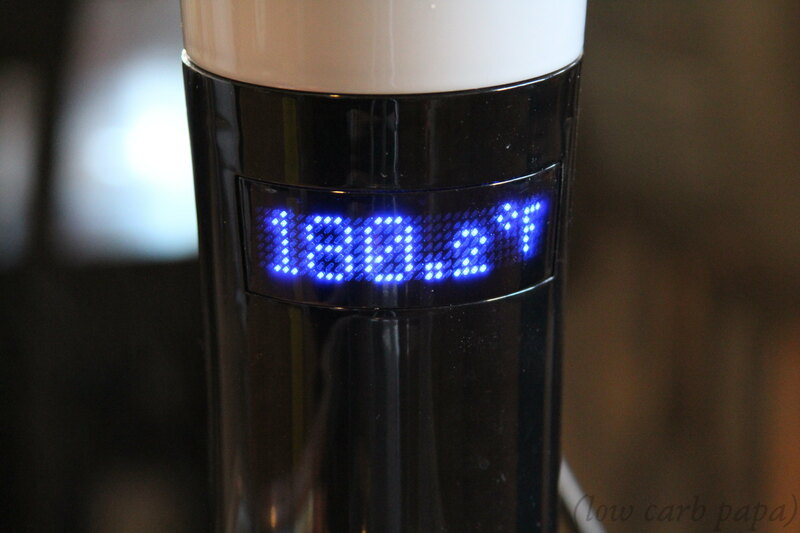 Turn your sous vide cooker up to 180 degrees F and let the water heat. Wait about 15 minutes after it reaches temperature and probe the inside of the milk jars. If they have reached 180 degrees F also, you can move on to the next step. Otherwise, lightly reseal and try again in 15-20 minutes until you measure 180 degrees F. Repeat this as necessary. Shut off your sous vide, remove three quarts of water, add in the three quarts of ice to bring the heat down in the water. Add cold tap water to bring the water level back to the previous level approximately 2-3 mm above the milk level. Turn the sous vide back on, turning the temperature down to 110 degrees F.
After about 15 minutes after the water temperature reaches 110 degrees F, test the milk temperature. If it is 110 degrees F, you can move on to the next step. Otherwise, lightly reseal and wait another 15 minutes with the sous vide running before testing again. Repeat this as necessary. Temporarily remove both jars from the water, and add two level tablespoons of active culture yogurt to each, whisking vigorously to disperse. I like the flavor that comes from the active culture in Fage whole milk, but you can use whatever you want as long as it is an unflavored yogurt with active bacterial cultures. Seal the jars tighter this time and place back into the water. 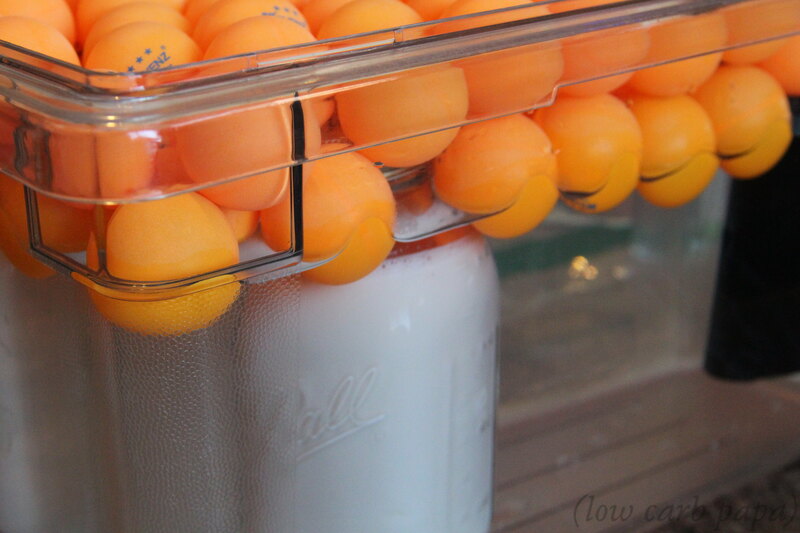 Leaving the sous vide set at 110 degrees F, cover the surface completely in ping pong balls to insulate and minimize evaporation. I found that I only had to add about 8 ounces of water every 12 hours with this setup to counteract evaporation from the vessel. After at least 24 hours and as much as 36 hours, remove and place into your refrigerator to chill. Serve and enjoy. No Replies to "Keto Sous Vide Yogurt"